Washington State University is proud to offer over 80 master's degree programs, 64 doctoral degree programs and 4 disciplines with professional degree programs. With over $356.9 million in R&D, the vast majority of which go directly into the life sciences, Washington State University focuses largely on medicine, pharmacy and veterinary medicine. The university also has a large agricultural research program and is home to four research and extension centers that are diligently working to help Washington farmers increase productivity and maintain crop health. The McDonnell Genome Institute at WU was awarded $15 million in 2019 to research the genetic mechanisms of common diseases. The project has received $63 million in NIH funding since 2016. A grant of $46 million from the National Center for Advancing Translational Sciences has been awarded to Washington University to help support the ICTS and further the research being conducted. The Washington University Institute of Clinical and Translational Sciences has received $9.3 million from NIH in 2019. The last BioResearch Product Faire™ Event at Washington State University attracted 338 attendees, of which 120 were professors, post docs and purchasing agents. Of the total attendees 57 were lab managers. The balance were research associates and postgraduate students. 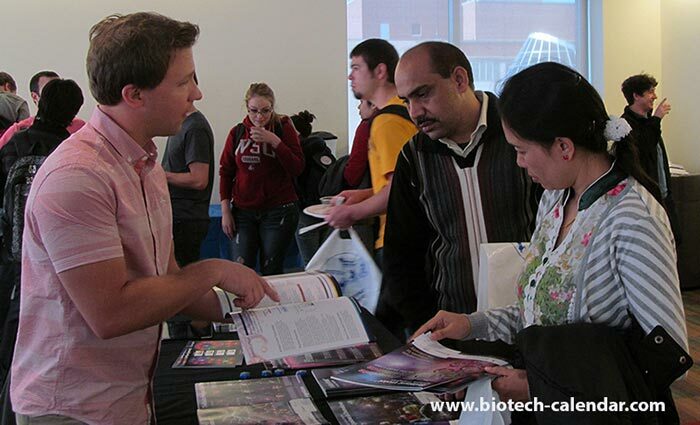 We invite you to exhibit at our Washington State University life science event.